Just as fall signals football and cider mills, spring brings the home improvement projects that were set aside for the winter. 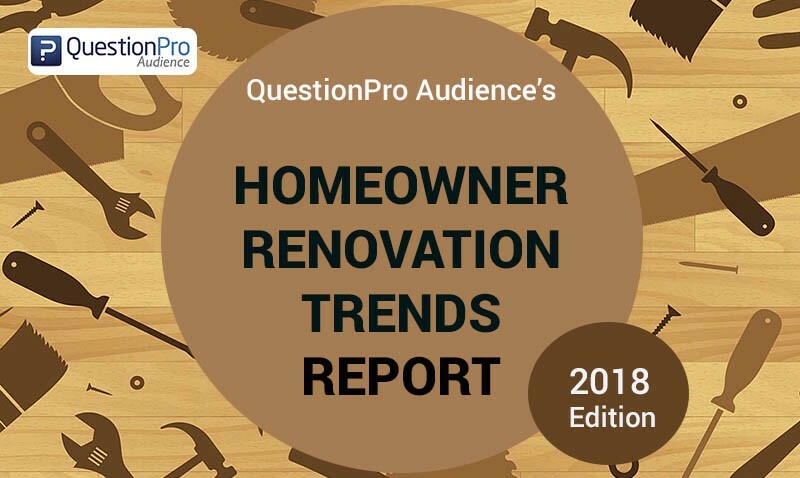 QuestionPro Audience conducted a survey with 500 homeowners across the United States to gauge homeowner trends, future renovation plans and spending habits for spring 2018. Homeowners are also tackling bigger, more expensive projects this year — 15% are planning to remodel their kitchen this year, 13% plan to update a bathroom, and 9% are looking to revamp the bedroom. 42% plan to spend between $3,000 and $10,000 on their upcoming renovation, up 6% from last year. A bit of good news for contractors: 61% plan to hire a professional for their upcoming project, compared to 59% who hired a professional for their past project. 49% of respondents plan to pay with cash or savings, 17% will put it on a credit card, 14% will use financing, 10% plan to use a home equity loan, and 8% are counting on their tax return to finance their project. The majority of both sexes — 63% of women and 58% of men — intend to hire a professional for their upcoming project. 56% of women feel they do not have the skills or equipment necessary for their planned project, while men value the expertise that comes with hiring a professional (47%). Another dissimilarity between the genders is how they find professionals to hire. Women prefer to ask a friend for a referral (40%), look on a review website such as Yelp.com (18%), or ask a contractor for a referral (17%). Men also ask friends for referrals (30%), but would rather use a search engine like Google.com (24%), or look on Yellowpages.com (21%). The current housing market inventory is very competitive, so it is logical that many homeowners are choosing to invest in remodeling their current home, rather than get into a bidding war. Additionally, with the economy and housing market more stable, homeowners now have more income — and equity — so they’re making renovations to create their dream homes. Our study found that the majority of homeowners are focusing on discretionary projects such as kitchens and bathrooms, which may have been put off after the housing crisis. Judging from our report, it looks like 2018 will be a profitable year for homeowners, contractors, and material suppliers alike.